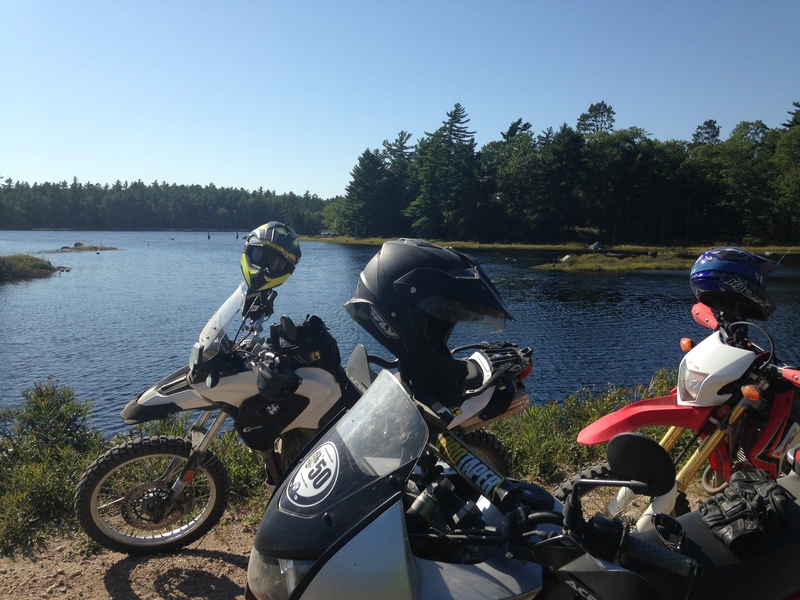 It was time for the Scotia Adventure Crew’s* final ‘training’ session for the upcoming rally and we had initially hoped it would be the Poker Run (*or at least most of the team). Unfortunately, that had to be cancelled and we debated whether to take Brooksie’s generous offer to complete it on our own. 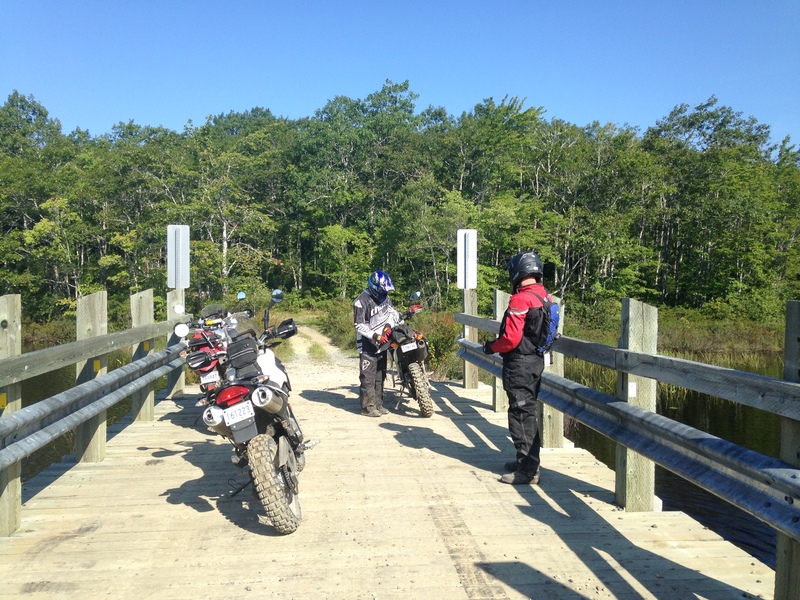 Seeing as we’re somewhat further from things down here on the South Shore, we settled on riding longer, closer to home. 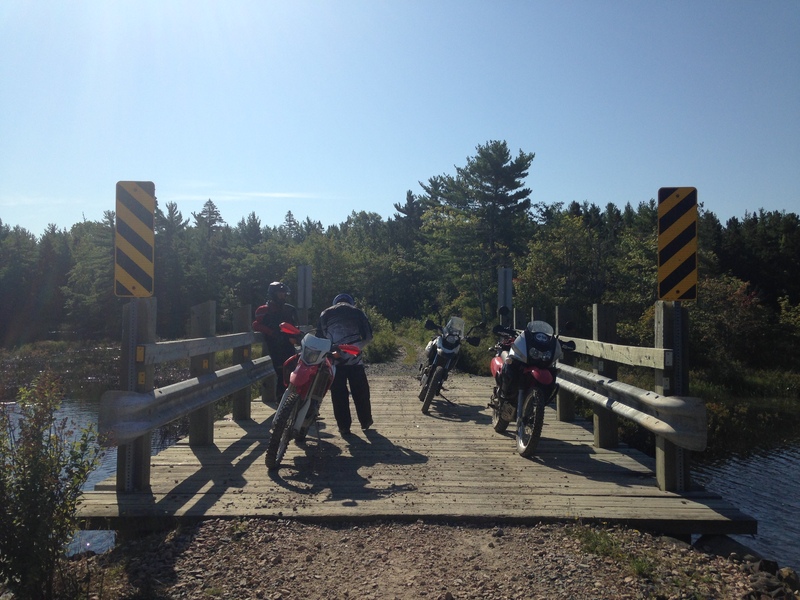 Let’s just say it was a true adventure ride as it had everything from flats to near death experiences. 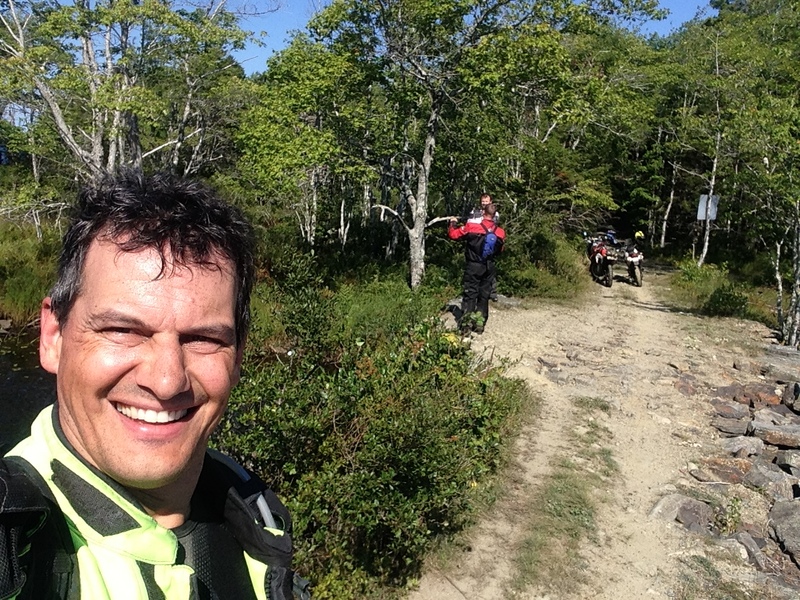 Our intrepid team captain Shawn met Eastcoast Al and myself first thing Sunday morning. 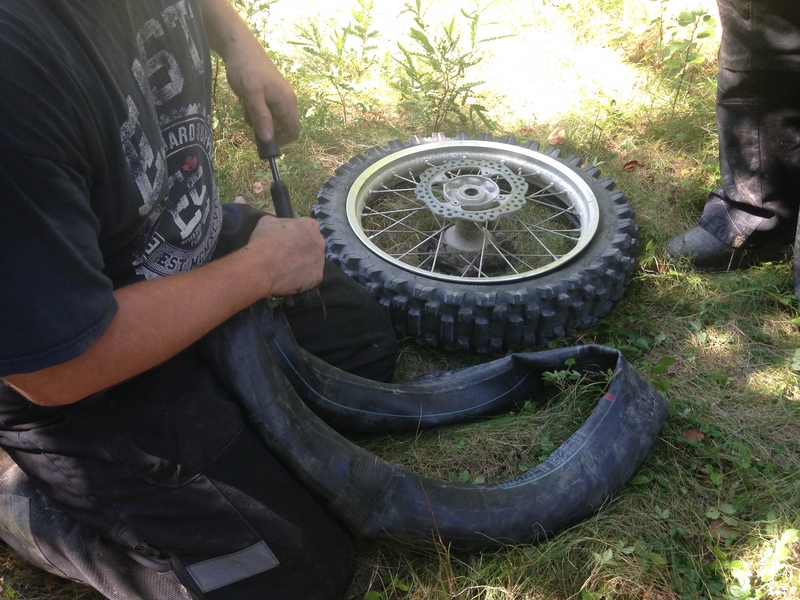 I was excited about the brand new rear TKC80 on the Sertao, but was upstaged by Overconfident Al who claimed his new TKC80 front tire upped his game by a large margin! I was sceptical. 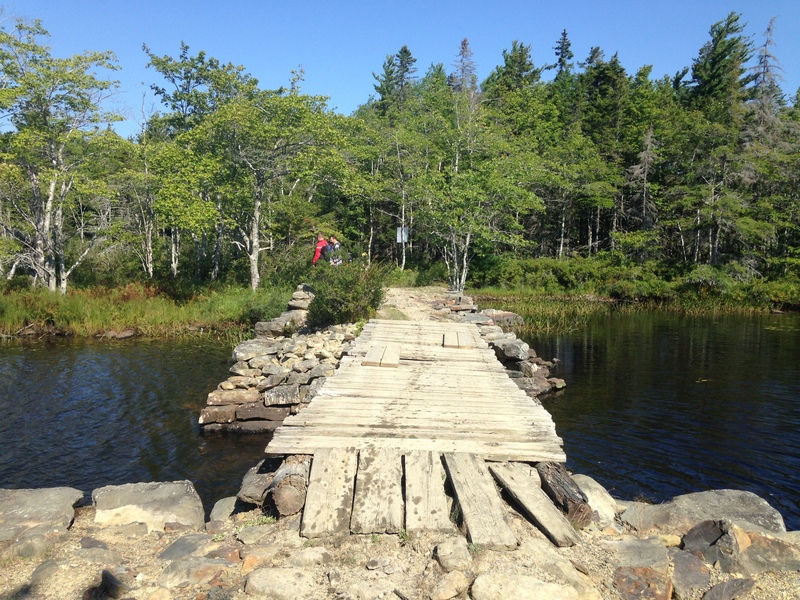 No need, as Adventurous Al set a brisk pace through some tight rough trails. Maybe he was right and it is the gear, not the rider. 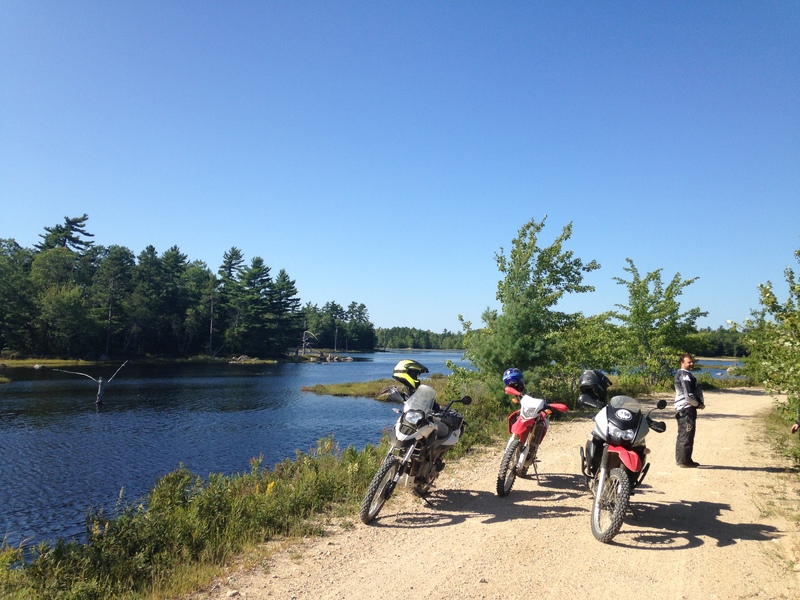 We got through most of the morning without issue until Captain Shawn’s rear tire went flat while riding on a brief stint of slab, of all places. 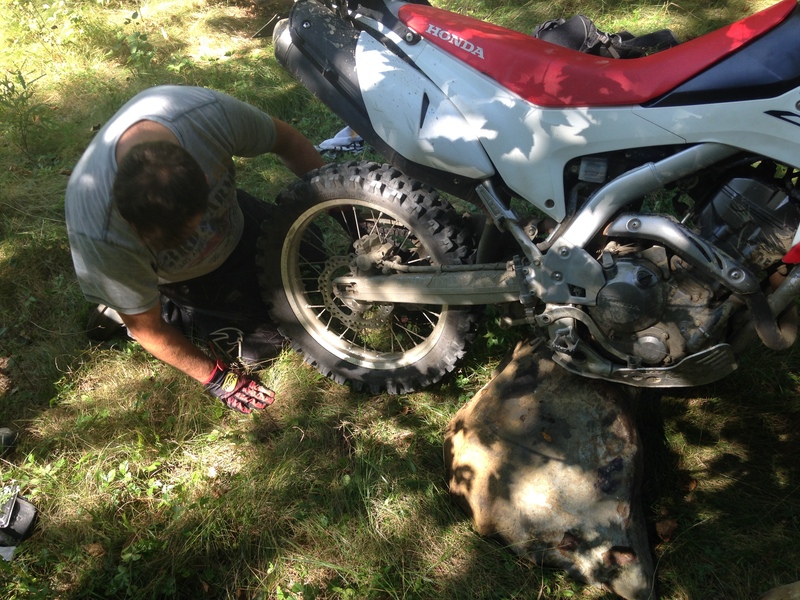 Defeatist Al was about to get the trailer and call it a day until Shawn, true to his captain role, declined the trailer and looked for a shady spot to repair the tire. As Al and Shawn attacked the tire, I started the stop watch and exactly 47 mins later we were good to go! Well done lads (somewhere 4mud was beaming pride)! 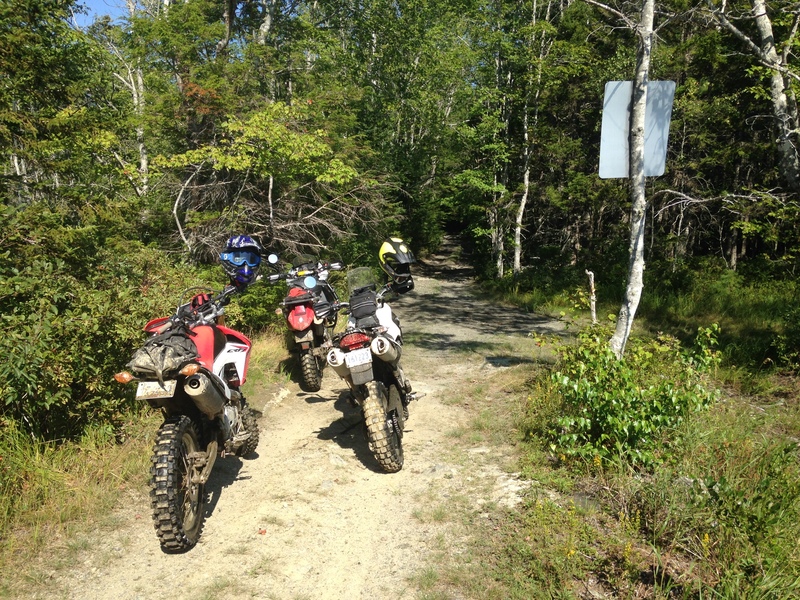 The rest of the day we attacked skidoo trails and twisty dirt roads allowing us to maintain a higher pace. Late in the day on a remote trail I noticed a flash of black and saw what turned out to be a bear chasing me down. Just as it was almost level with me and preparing to attack, I cranked the throttle and powered away just in time to avoid sure death! * (*Captain Shawn’s take was that it was a scared cub unsure of where to run once startled by the noise……. I prefer my version). Oblivious Al was last along the trail and missed the whole thing. 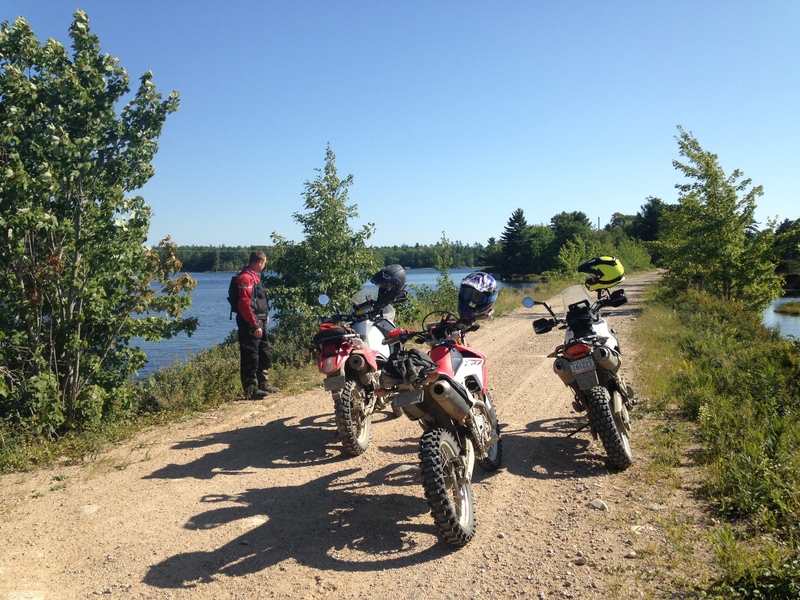 After the excitement of the bear, it was time to head home after 290 kms of primarily trail riding. 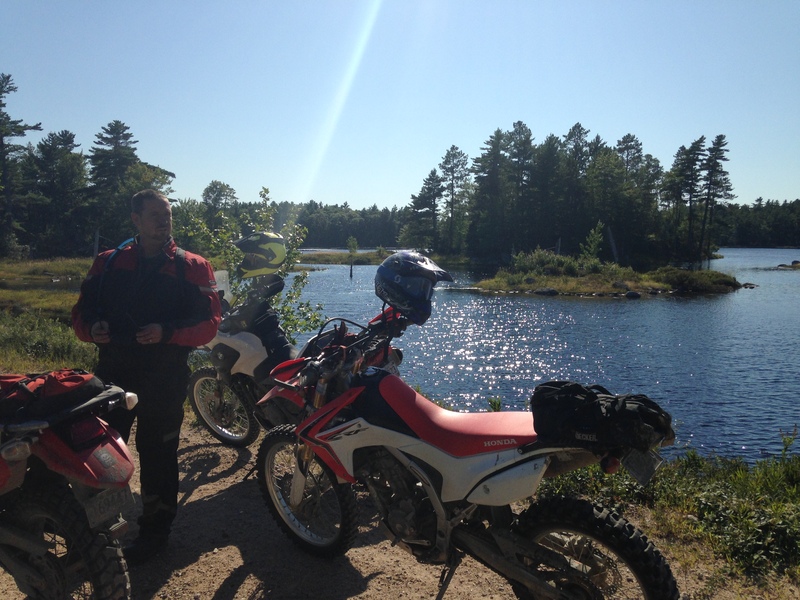 What a great ride, see everyone at the rally!